Wingatui to Ranfurly is Part 3 of the article series on the Otago Central Railway. This means I have to have all the knowledge about the line along this route finalised. 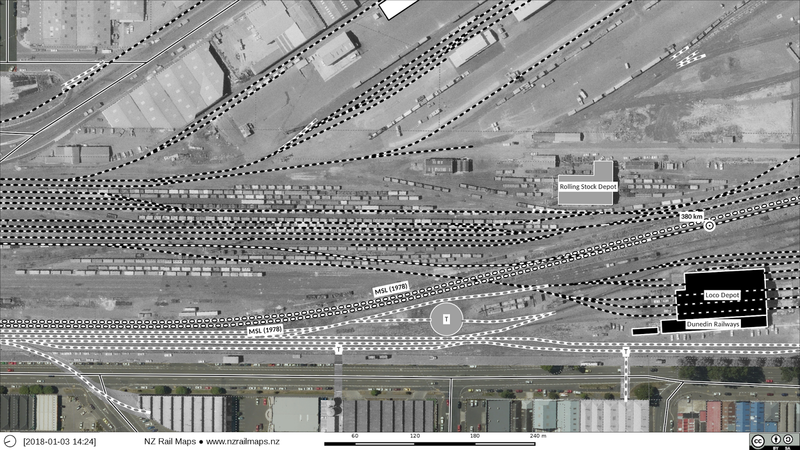 In addition this part will contain more information about the private sidings of Alexandra. Right now I am using the recently obtained chainage book for 0 to 25 miles and another resource to mark in both kilometre and mile pegs from Wingatui to Pukerangi. This completes the degree of milepost marking that can be realistically achieved along the entire route. I am also drawing maps for the stations from Wingatui to Ranfurly. The only map beyond Ranfurly not completed already is the one of Auripo, which will be quite quick to do. Although Wingatui-Ranfurly seems ambitious in the time I have, I have already done Sutton, Middlemarch, Ngapuna, Rock & Pillar and Hyde, as well as Taieri Estate, North Taieri, Pukerangi and Hindon. So right now I am needing to do Salisbury, Taioma (both sites), Parera, Mt Allan, Little Mt Allan, Christmas Creek, Deep Stream, Flat Stream, Matarae, Tiroiti, Kokonga, Waipiata and Ranfurly. However it is more likely only some of these will be completed in the time I have to write this part, and I will have to choose the ones which are for illustrations to be the priority. Ranfurly therefore is likely to be started shortly. 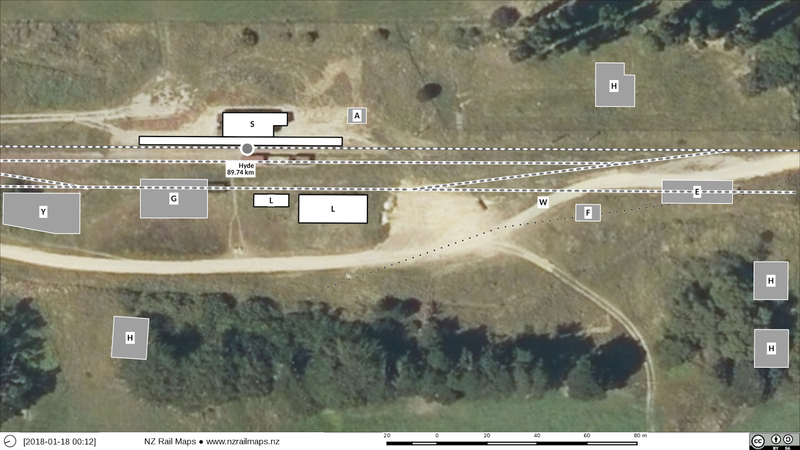 It is one of those areas for which there is not currently good quality aerial coverage and therefore diagrams would need to be filled into it. The same goes for many of the locations in the Taieri Gorge. As Salisbury is the last station between Wingatui and Sutton for which reasonably good aerial coverage is available I am about to draw that one. I think that probably Flat Stream and Middlemarch are priorities as well. 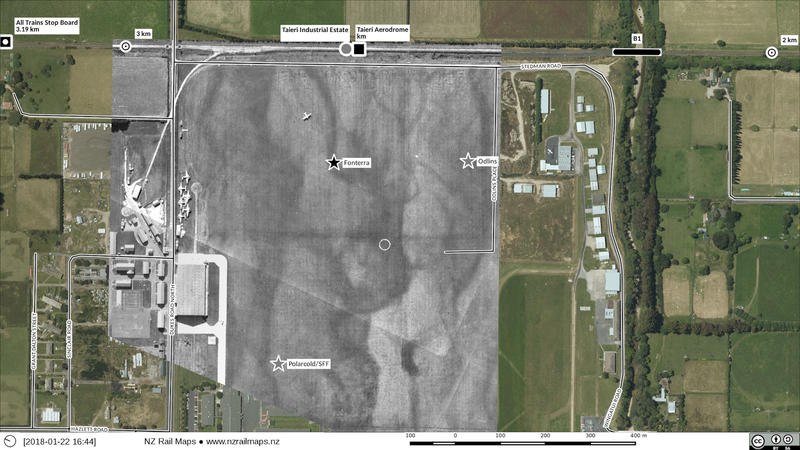 The below are the Taieri Aerodrome and North Taieri maps recently completed. 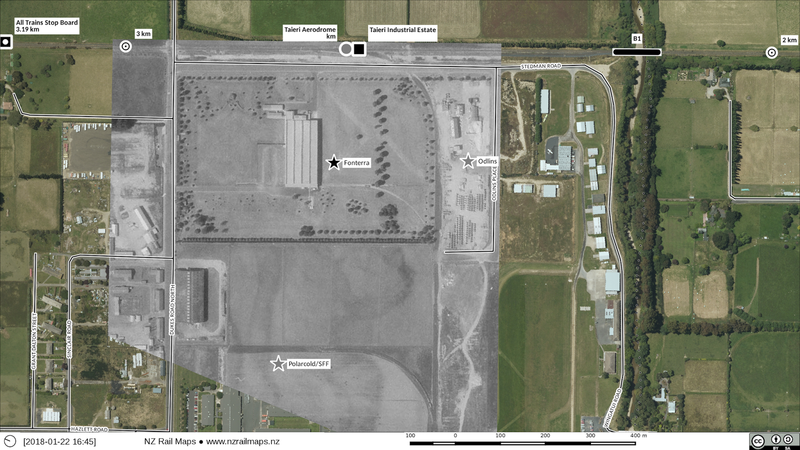 This repeat of the 1947 map shows a passenger platform that existed at the aerodrome site. 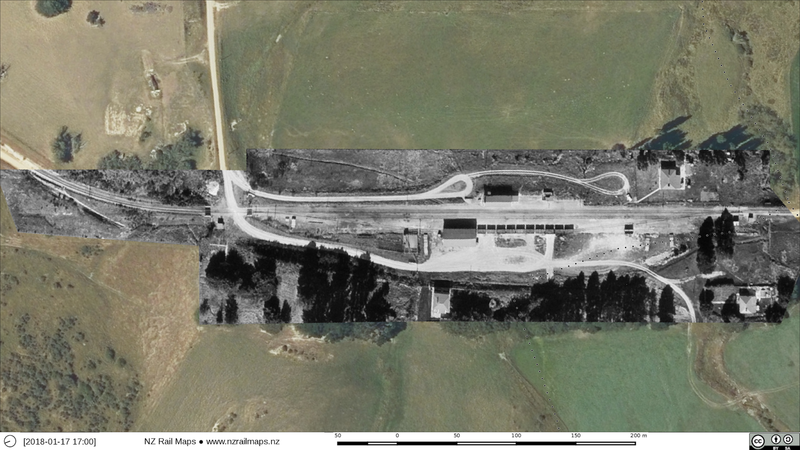 North Taieri (TGR station) and North Taieri Tanks (OCR station). The latter was simply a watering tank. 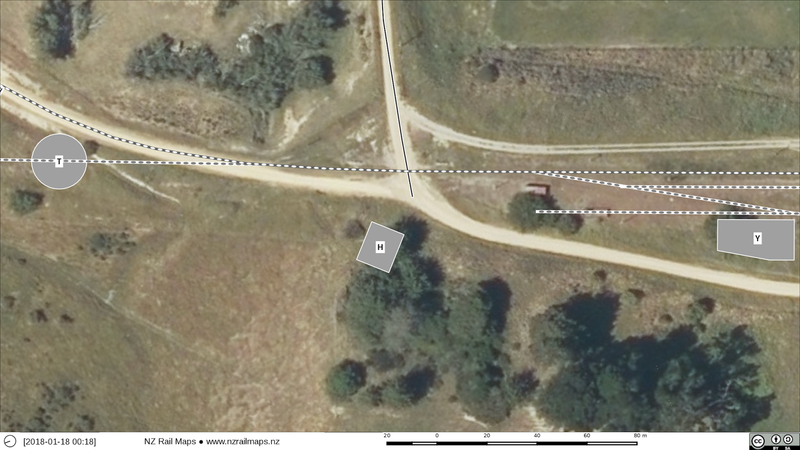 As of now I am putting together the aerials needed to show three generations of siding development at Taieri Estate. 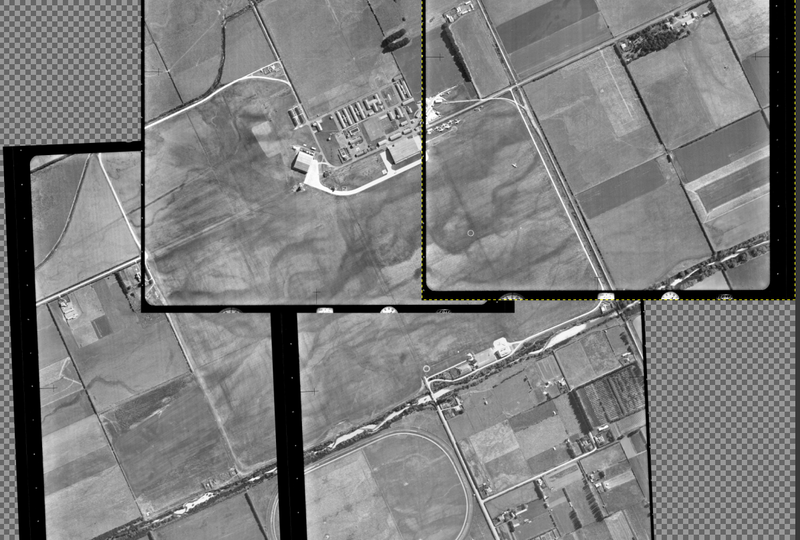 Using four images from DCC GIS I am joining these together to make a 1947 image of the aerodrome, which had a siding used to load fuel until the late 1950s. Right now as can be seen from this screen dump, I just have to mask off the borders so that I can get one single continuous image. 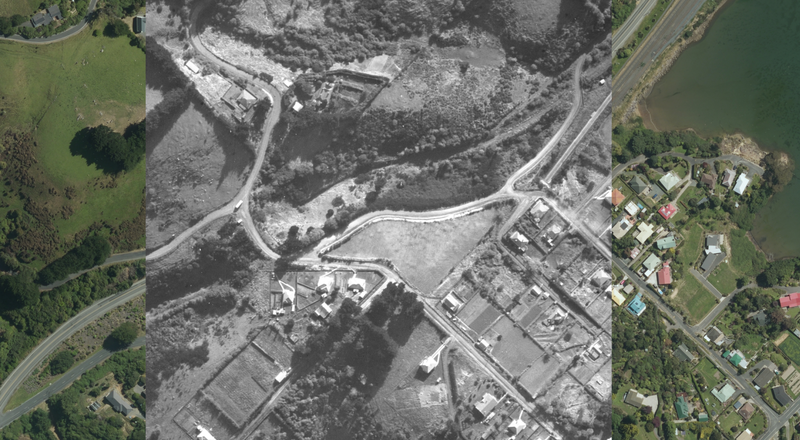 For the 1985 era there is one single aerial photo that covers the area, and for current I just use the Linz stuff as is. Few people would know today that more than 100 years ago the railway to the south of Dunedin was very different than it is today. The large embankment as it can be seen in many places, particularly between Dunedin and Caversham, simply did not exist in the original construction works as the railway was built. Moreover, by digging around and exploring the area a bit more, it is possible to discover two disused railway tunnels, one buried beneath the streets of suburban Caversham, that have been disused and virtually forgotten for more than a century. How did this come to be the case? From Kensington through Caversham a ruling grade of 1 in 50 to the summit then a similar downhill grade to Green Island at the bottom of the hill. The line then climbed again at grades of up to 1 in 50 to the second summit at Abbotsford. There was then another drop down to Abbots Creek. Another 1 in 50 climb was then faced to get to the top of the Chain Hills before descending again to Wingatui. The Caversham Tunnel of 43 chains was for a significant portion of its length uphill for southbound trains at 1 in 50. The Chain Hills Tunnel of 22 1/2 chains was for a significant portion of its length uphill for southbound trains at 1 in 50. Eliminating all the level crossings to make operation safer both for the railway and for traffic. Improving the stations along the route. 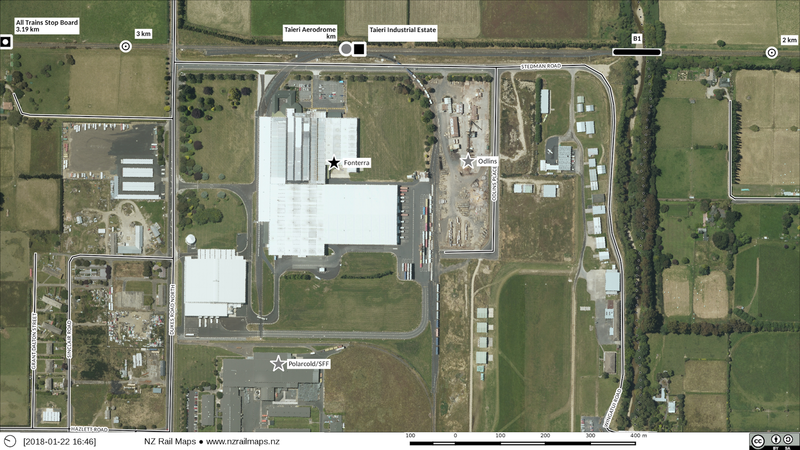 This map sums up the nature of the improvement works between Dunedin and Mosgiel. The main part of Hyde station yard. There was an engine shed from the time the station opened, until about the 1920s. Hyde had both low and high level loading banks. After the ballast pit siding at Hyde Township closed in 1952, ballast continued to be loaded by truck over the HLLB. The north end of Hyde yard, including the turntable which dated from the opening of the station. It was relocated to Cromwell in the 1920s. 1966 aerial photo of Hyde. Only three of the five houses shown on the 1897 plan remained by this stage, otherwise the yard had changed little from its inception. As you can see I haven't actually put anything out about the station yard. That's because I have got hold of some 1947 aerial photos that will probably be the best ones to see if I can use them for the station yard, if they are sharp enough. Anyway let's look at something else. Blanket Bay is the next bay south of Sawyers Bay, and the coast-hugging route of the original Dunedin-Port Chalmers Railway went through a tunnel of 101 metres length. As the current tunnel aligned to the causeway is at a length of 313 metres, the single track bore is much shorter. 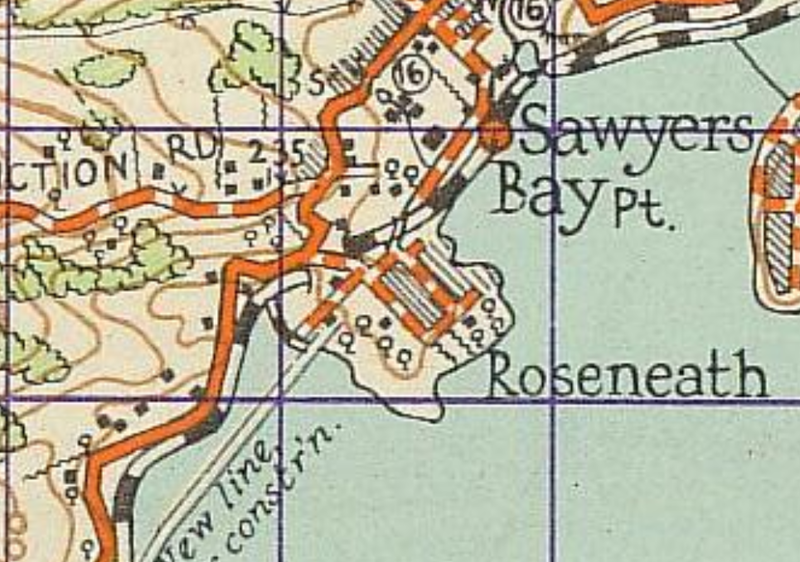 Every man and his dog has been to Sawyers Bay to try to locate the old tunnel. After all, the Quail Atlas shows the north portal should be right alongside the same end of the current tunnel? Unfortunately, this is one of the many mistakes in the Quail Atlas. As it happens, the south portals are close together (along the railway axis) and this puts the old tunnel in quite a different location relative to the present; about 200 metres further south. So the idea that you are going to find anything in that cutting next to the north portal of the double track tunnel, is regrettably mistaken. 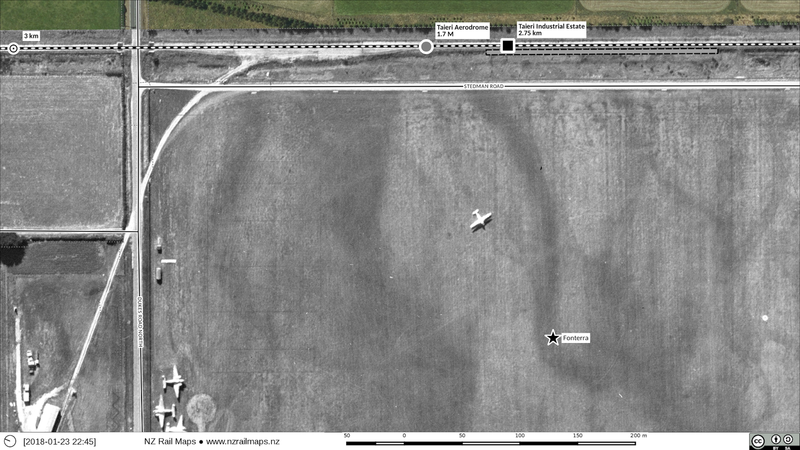 All the below photos use 1947 aerial photography overlaid over current Linz 2013 aerials. The tunnel basically went under the old road at this point. The highway, which was completely new, cut through the hill where this road crossed over. These two views give a fuller picture of the old railway cuttings and how they have been covered over by highway construction. I think it is quite safe to conclude the highway goes almost all the way over the top of the old railway cuttings and tunnel. 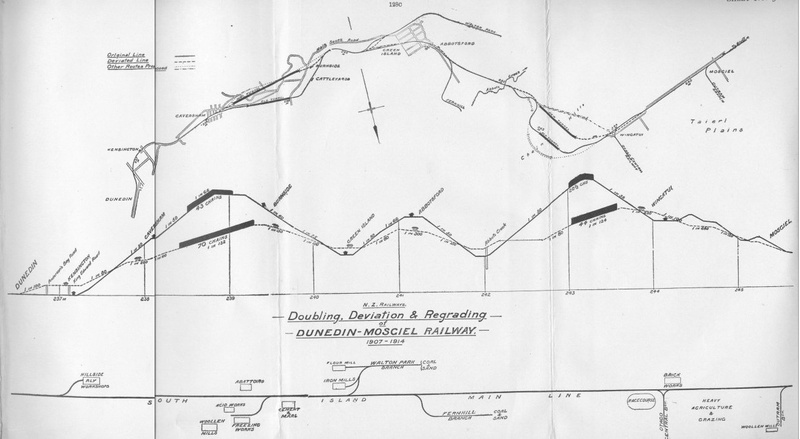 The position of the tunnel is corroborated by this NZMS1 map from the early 1940s. Today's effort has been to update the maps for the Dunback and Makareao Branches. I am not actually going to post very much here. 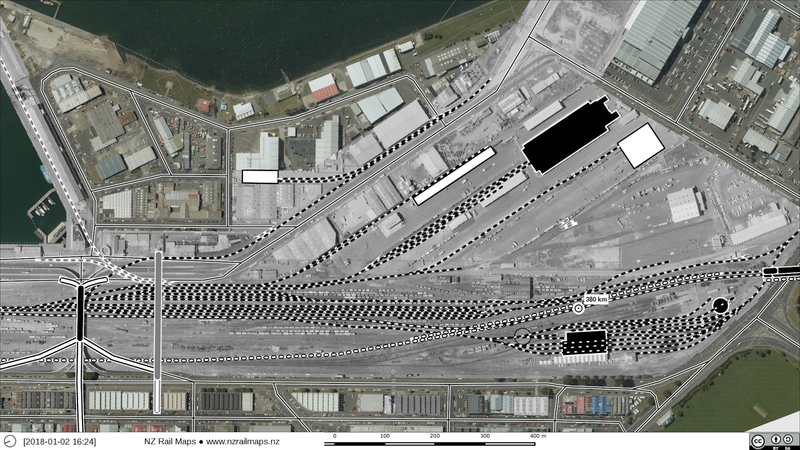 Go and have a look at the Volume 11 section of the NZ Rail Maps website which I have just set up with the content for these lines and others. A view of the MSL between Kensington and Caversham in 1986. 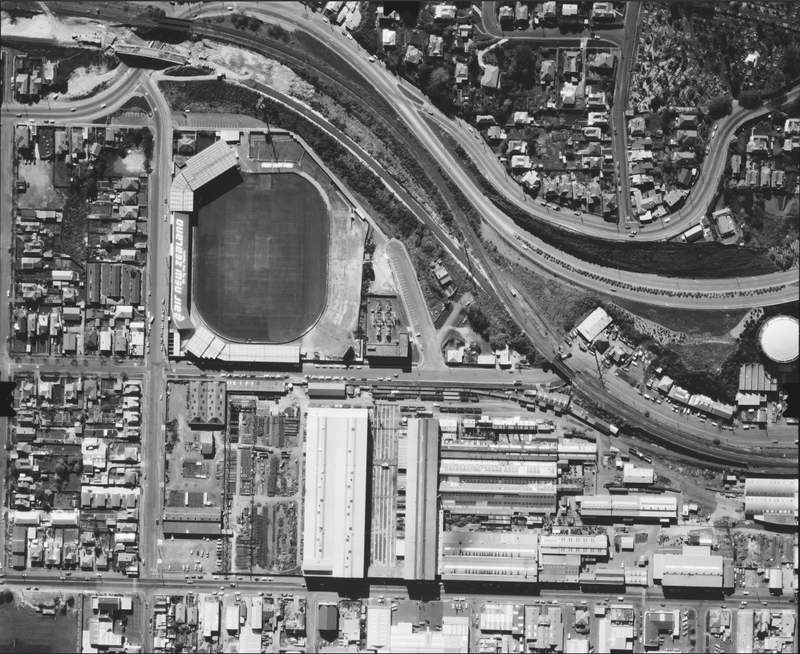 In the lower part of the picture is Hillside Workshops with Carisbrook Stadium directly above it. 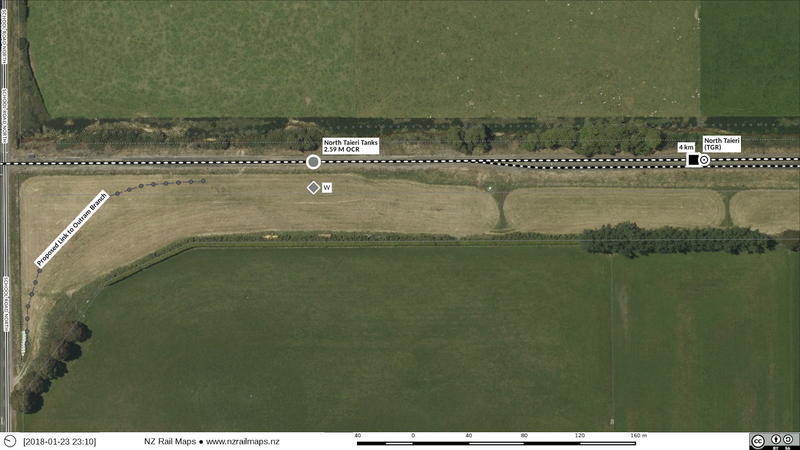 In the top left the diversion of the MSL off the 1910 double track embankment onto a new single track route to allow for motorway construction is underway. The new single track railway bridge at South Road can be seen under construction next to the 70 year old double track bridge and one of the double tracks is already out of service with much track lifted and the applicable half of the Wilkie Road bridge (and King Edward St bridge not visible in this photo) removed. This aerial dates from 1979 and shows Caversham before the motorway. The railway coming from the right crosses South Road then enters Caversham station behind the old gas works. 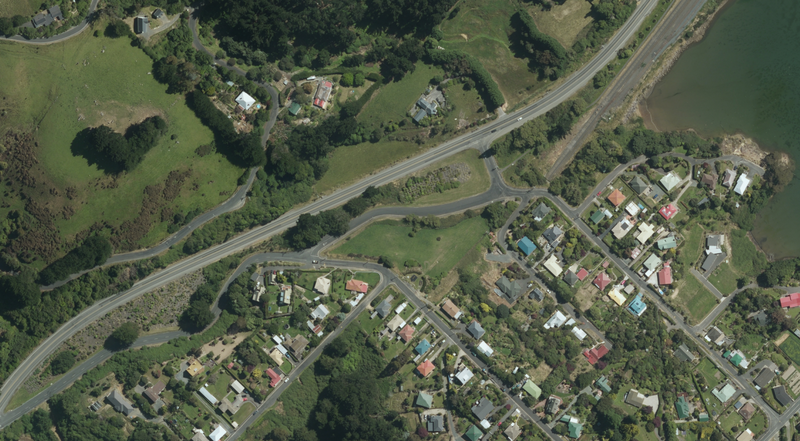 It then passes through a section of the suburb that barely exists today - the four overbridges crossing the railway cutting were built in the 1910s when the railway was doubled and realigned between Dunedin and Mosgiel. The construction of the motorway in the mid 1980s simply cut a wide swathe through above the railway cutting and as a result all the bridges were removed except for one converted to a footbridge, changing the streets into cul-de-sacs. 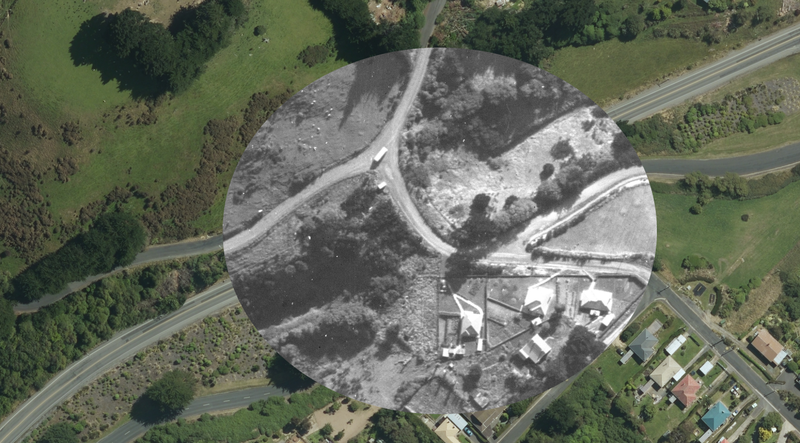 The many vacant sections visible above the railway cutting suggest housing clearance was already underway in preparation for the motorway at that time. Towards the left the double track line can be seen passing under South Road and entering the tunnel, while the original single track alignment continues above South Road to reach the original tunnel which still exists today. So the masking is now more or less complete having taken somewhat longer than expected, although mostly this is due to other reasons other than the masking itself. I just have to recheck and then I can put out the geojpegs for Qgis. Which is now 2.18 for working on all my maps - no more development masters except to the extent I need to go back to 2.18. 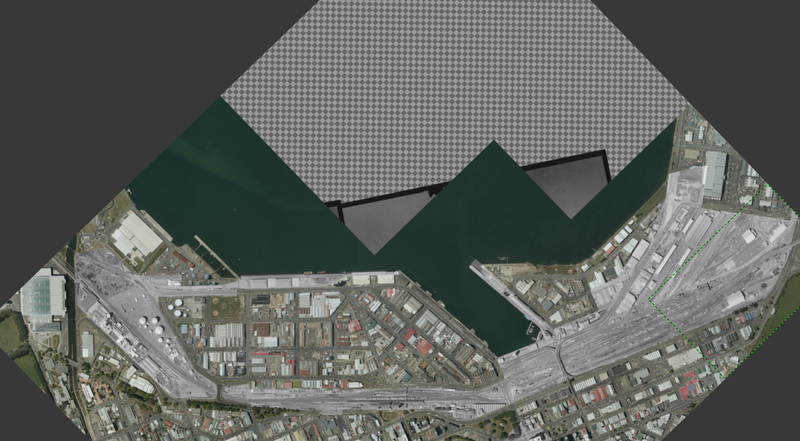 I have looked at what historical aerial imagery exists for Dunedin and it does go back to the 1940s, so we just have to wait until all the historical stuff has been scanned for Otago and it will be possible to do this with preferably 1960s images.